Many Ascension families, both English- and Spanish-speaking, went home on Dec. 2 with wreaths they made. 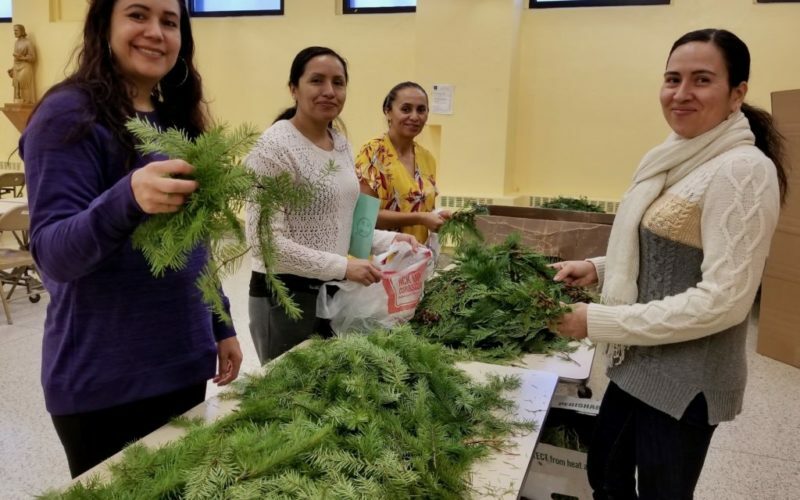 This annual event, held on the first Sunday of Advent, brings together families who have children in Spanish Faith Formation classes and those at the 9:30 English mass who wish to participate. The pine fragrance hits as soon as you step into the Club Building. Different types of evergreen branches are used. They are cut down to small springs and tied with waxed string to a circular wire. Families pray with these wreaths throughout Advent. See more photos on our Gallery page.